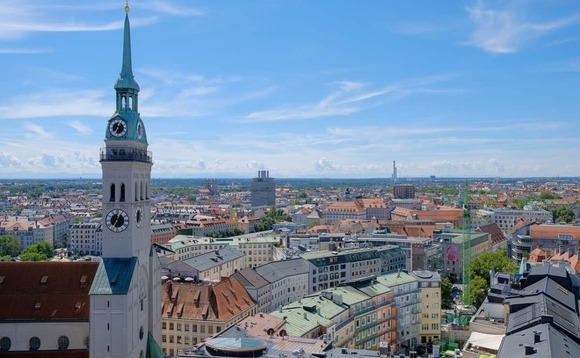 DeVere Group has opened up a new European outpost with the addition of offices in the centre of Munich, with ten new adviser positions and additional support staff being sought. As part of an expansion of its operations across Europe deVere Group said that it had has now added its deVere Germany brand into the Bavarian capital, partially thanks to increased demand for cross-border advice following Brexit. The new offices are located near Marienplatz, the city’s most iconic square. The Munich operation will be headed by Area Manager Glen Crosfill, pictured left, who has moved from Dubai, where he held a similar role within the organisation for seven years. Crosfill will report directly to Nicholas Grams, deVere Germany’s Country Manager. He said that the company has taken the decision to open in Munich due to “an ongoing increase in demand from clients”. DeVere Group said that much of the recent surge in demand is down to Brexit with more and more expats, high net worth international investors, and German nationals who’ve been living overseas, relocating to Munich. “Many of them [are] telling us this in in direct response to the UK’s decision to leave the EU,” added Crosfill. DeVere Group added that it will be looking to recruit “additional talented wealth advisers plus career-minded support staff” in the coming months to join its existing team. “We intend to have 10 financial consultants in place by the end of the third quarter, who will be assisted by their coordinators and administrative staff,” Crosfill added. James Green, pictured left, who is the divisional manager for deVere Group in Western Europe, said: “This expansion in Germany is part of our ambitious strategic plans for Western Europe. “There’s been a growing number of individuals and organisations seeking alternatives since Brexit. As reported, the announcement of deVere’s launch in Munich follows the firm opening in Madrid in May last year, the Austrian capital in August, and in Portugal’s Algarve in October.